We are proud to be the first speakers’ bureau to ‘streamline’ the client/ speaker booking process with our innovative technology and database. As a planner, you may engage in a detailed and efficient search through our library of speakers, bios and videos. You may build and track events on your personal Otellus work page reserving favorites and building rosters of speakers for specific events while narrowing your search. Once you’ve reached your final decision, it’s as simple as “one, two, three”. 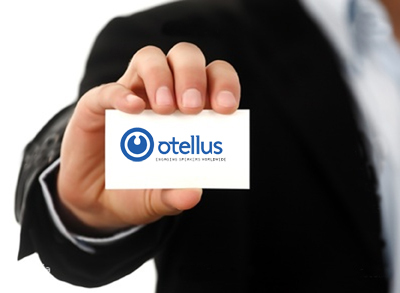 Our goal at Otellus is to service our clients the to the very best of our ability EVERY SINGLE TIME! A writer once wrote, ‘there is nothing so unfair as the equal treatment of unequals’. We want to treat every meeting planner the way they want and need to be treated. Whether you are a seasoned veteran or navigating the planning of your very first event, we will meet your needs. Many meeting planners call us requesting suggestions and help along every step of the way and that is what we love to do! We encourage questions, we want to make you feel comfortable throughout the search and decision making process. We are here for you and we love to help! There are also planners who know what they want, don’t want or need to spend much time talking to us, and just want to book the speaker. We are a perfect fit with that planner as well with our advanced and streamlined booking process! You can feel comfortable that things are going to happen as quickly as you want! And finally, of course, we service the meeting planner that fits anywhere in between! Brainstorm with you, offer suggestions, identify topics and potential speakers. Send you any information you need, bios, videos, recommendation letters, and articles. Work with you every step of the way; our courteous and professional staff understands the process and the pressure and will do everything we can to make your work easier! We are located in the heart of San Francisco and work with many local, national, and international companies offering the best that the professional speakers’ world has to offer!